Passion expressed by children is a beautiful thing to witness. 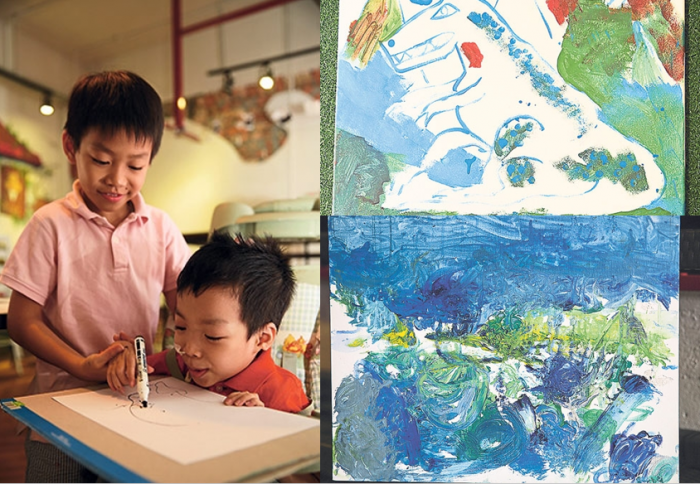 When five-year-old Branden Lim adds splashes of colours to a blank piece of canvas, it is evident that he enjoys the art form, and nothing would get in the way in his process of creation, not even the illness that he was diagnosed with at only 13 months of age. Branden Lim, also known as Branden Boy, is going through Spinal Muscular Atrophy (SMA) and it is a rare genetic neuromuscular disease which affects the nerves controlling his respiration and movement. Though the disease limits Branden’s mobility, and medical care is a common thing the child has to undergo, he finds his strength through ‘art jamming’. Art jamming is the process of involving creativity when producing a piece of painting. Branden’s mother, Yap Sook Yee told Malay Mail Online that at the age of two, her child could not bring his arms above his head and it was then that she decided to allow painting to be a constant in her son’s life in order to improve the strength in his arms. Sembilan Art Residency, an avenue which supports local artists, has been organising art jamming sessions for Branden and his family at Inside Scoop Damansara Jaya for several months now and thus far, the abstract pieces which Branden has created has been able to supply him with a bucketful of joy and a means of expressing his creativity. The collaboration between Inside Scoop and Sembilan Art Residency has allowed Branden to complete 20 pieces of artwork so far, and each of them has been able to physically signify his journey with SMA. 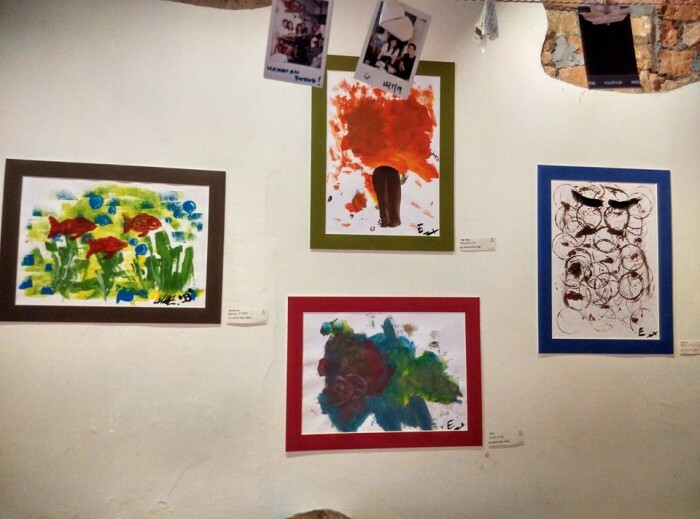 In order to bring awareness towards the uncommon disease which is part of Malaysia’s Rare Disorders Society, Branden and his eight-year-old brother Jaden will be showcasing their art pieces at Inside Scoop Damansara Jaya in an upcoming exhibition. Participants of the exhibition event which is titled ‘The Scoop About Branden’ can join in on a silent auction for the artworks, and 30% of the net proceeds from the auction will be donated to MRDS. The remainder of the money raised will be used in support of Branden’s medical funds, inclusive of a powered wheelchair and a standing frame which he can utilise in his daily mobility. 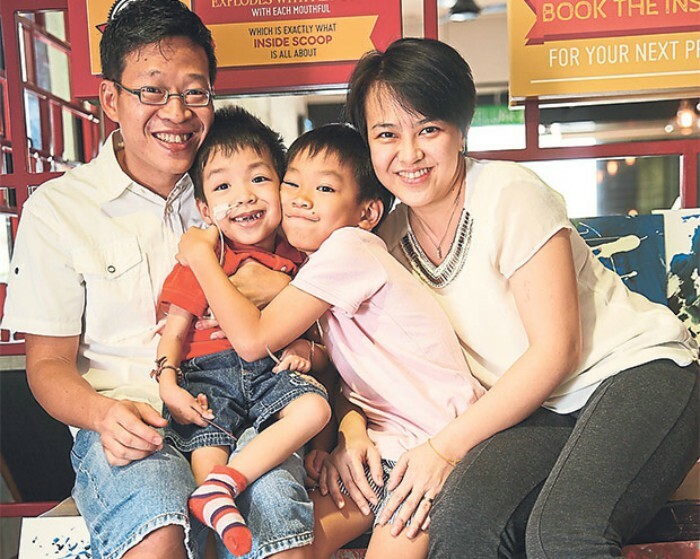 Branden’s parents, Sook Yee and Edmund Lim who are also the founders of weCAREjourney, a startup which helps to provide the disabled community with a better living experience, knows that the disease can be hard to comprehend sometimes. With the art jamming session, Branden is able to use his talent to empower him even as he goes down the path of a journey which is different when compared to a lot of kids his age. 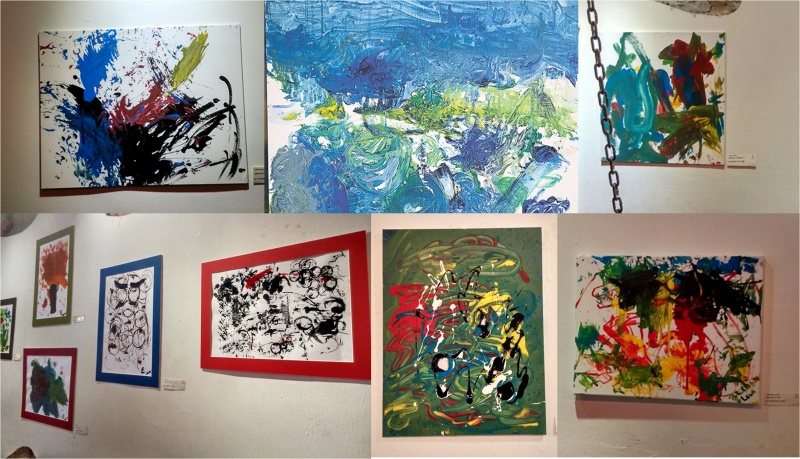 His artworks will be exhibited alongside his brothers’ from December 13-19 at Inside Scoop Damansara Jaya. There will be also be a special event on December 17 from 5pm till closing hours. It will feature art activities for the invited guests, and a plus would be that Inside Scoop will also be giving away free ice cream from 7.30pm onwards. 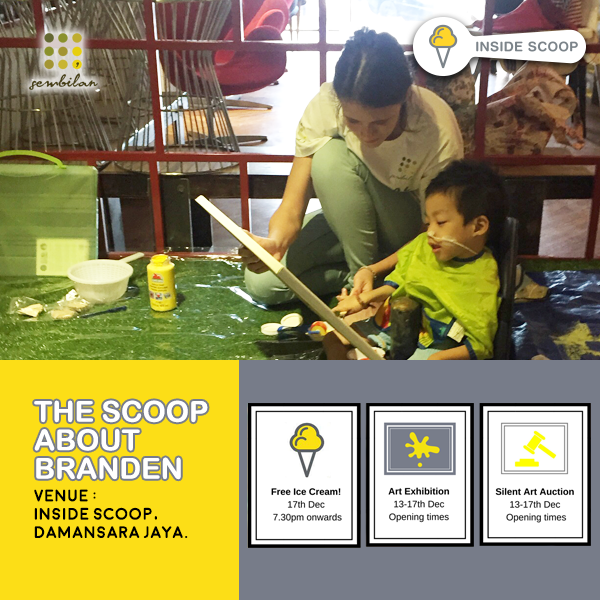 ‘The Scoop About Branden’ is an event open to the public, and all are welcome to lend their support to Branden Boy and his abstract works of art, at Inside Scoop Damansara Jaya from December 13-19. 1. Share this Facebook post and tag a friend to share your ice cream waffles with and also tag ‪#‎vulcanpostmy‬. 2. Make sure you set the post to PUBLIC (so we can see it). 3. The first 12 shares (based on the time stamp) will win a RM25 Inside Scoop voucher! *We will announce the winners by today. Do note the vouchers are to be collected from the Inside Scoop outlet at Damansara Jaya on December 17 during the special event so you can also take a look at Branden’s amazing art pieces.